BikeSquare, in collaboration with E-bikeRent Barcelona, promotes a fascinating and panoramic ebike tour of Barcelona, with views from the Montjuic Hill. Barcelona, Spain, Oct 01, 2018 -- BikeSquare, the Italian startup for electric bike tours, is collaborating with E-Bikerent Barcelona, to promote an innovative way to discover and enjoy this enchanting city with less effort and more fun. 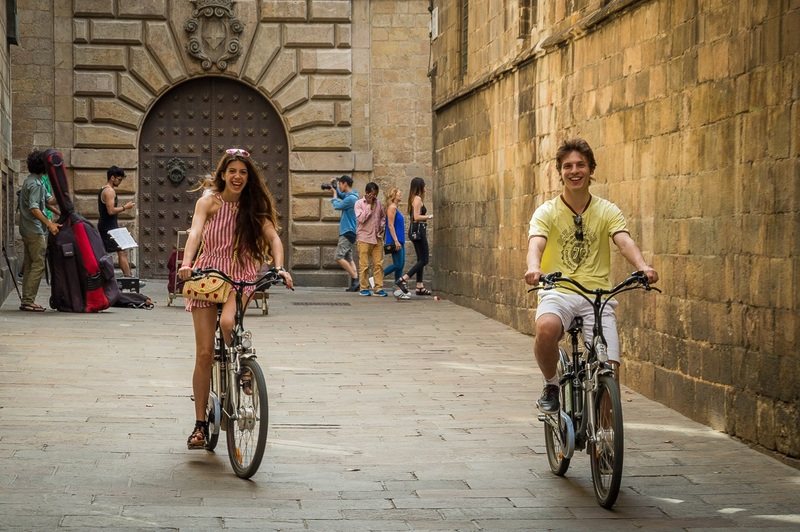 With this 2,5 hours ebike tour, visitors will have the chance to get an overview of the Old centre, with its medieval origins and the fishermen district of Barceloneta. Then, they will escape the crowd steering toward the Montjuic hill, that hosts the Olympic Games buildings. From this site they will enjoy an unforgettable the city - at sunset during summertime, with morning lights in winter. It will be an amazing cycling experience, starting from the charming medieval district, where the will enjoy the marvellous Santa Maria del Mar (the Cathedral of the Sea), the Roman ruins, and the narrow streets, with its artisanal botigues of artists and local manufacturers. Then visitors will cycle along the Ciutadella Park, the old district green lung, continuing towards Barceloneta beaches and the ancient fishermen district. Then they will steer towards the Montjuic, a peaceful hill that hosts the 1992 Olympic Games sport buildings and that offers spectacular views of this marvelous city. Visitors will explore the Olympic stadium and the Olympic Swimming pool, then stopping to enjoy the panorama and watching Barcelona from one of the most amazing viewpoint of the hole c​ity. The tour starts at 11 am during winter, at 5pm during summer. Price: 36€/per person/ kids discounts. For more information please visit ​ BikeSquare Barcelona For other ebike tours and ebike rentals, please check BikeSquare Barcelona Easy Rent​ or download the free APP. 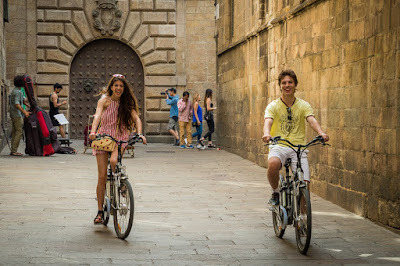 E-Bike Rent Barcelona is the leading provider of e-bike and tour activities in Barcelona. Indeed, it has been awarded with the TripAdvisor Certificate of Excellence since 2013. E-Bike Rent Barcelona is located in the Gothic District- the old city center - and it provides a customer focused, friendly, and professional service. POS Video Camera Interface to Text Overlay-Inserter on Cash Register, Point-Of-Sale (POS) System, ATM and more. Pathway to the Stars: Part 6, Erin Carter by Matthew J Opdyke. Pathway to the Stars: Part 6.1, Trilogy by Sci-Fi & Fantasy Author Matthew J Opdyke. This cool app lets you make your own luck and win real money. Copyright © 2018 PRPocket.Com. All rights reserved.. Simple theme. Powered by Blogger.